And by this, I mean the countryside is in full bloom by mid February. Our almond tree is gloriously ladden with flowers, lizzards play on the terrace, wild flowers everywhere, bees… I even saw 2 buterflies frollicking the other day. Whilst the temperatures of 24 degres sent all the locals to the beach yesterday, this is not normal at all. Whilst back in UK one considers building an arc, here I am worried that a sudden cold spell (which will surely happen at some point) will kill off this year’s fruits and wreck havoc amonsgt the wildlife. 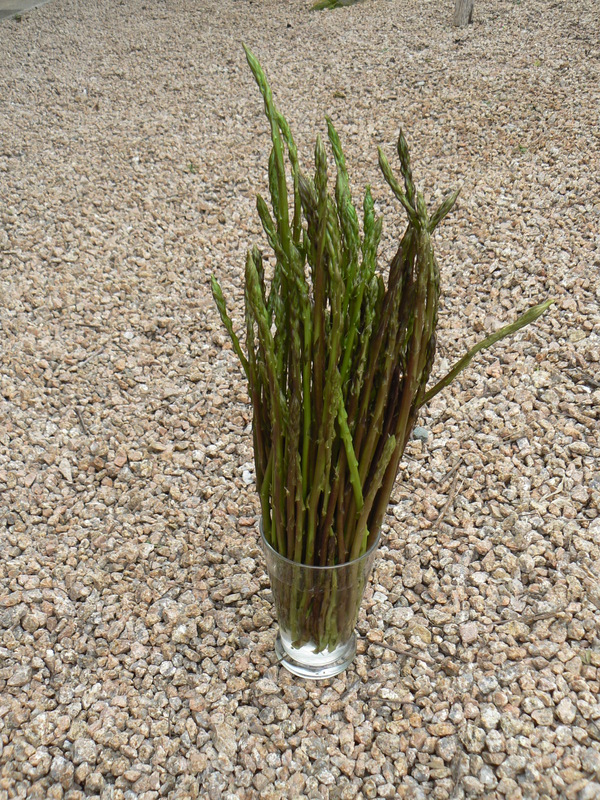 In the meantime, we have been picking wild asparagus. This is our second collection in just over a week and there is more to come. I am also planning to grow some ginger and make ginger beer. Luckily my partner has brewed that before and we are equipped. And as every year, I will be making some elderflower cordial and if there is plenty to share, I shall leave some for our guests at the villa too.